Calendar Pad is an easy to use windows calendar program that integrates with your website. You can quickly add events, and publish the calendar online. Choose from over 100 pre designed calendar templates, or match the look of your web site with a custom color scheme. 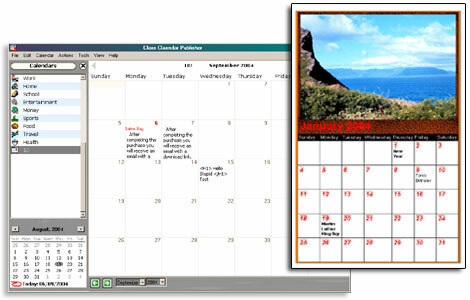 Web Calendar Pad is a computer program for Windows Vista, XP, and 2003.